Michael “Hawk” G. Hauck, 68, of Fond du Lac, died Thursday, February 7, 2019 at his residence. He was born July 30, 1950 in Port Washington, the son of Alan and Jeanette (Mog) Hauck, Sr. Hawk worked over 40 years as a maintenance oiler for Mercury Marine, retiring in 2014. 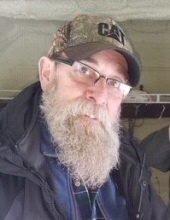 He was a member of the Zodiac’s Motorcycle Club for 30 years and enjoyed hunting, deer camp, fishing, 4-wheeling, playing cards, spending time in Door County, family vacations, and loved spending time with his grandchildren. He is survived by three children, Corey (Julie) Hauck of Sheboygan, Lesa (Jeff) Bednarek of Fond du Lac, and Gus (Lisa) Schroeder of Fond du Lac; three grandchildren, Lyla Hauck, Madelyn and Gavin Bednarek; his special friend, Marcy Schroeder of Fond du Lac; his mother, Jeanette Hauck of Good Hope, AL; two brothers, Alan (Mary Cochran) Hauck Jr. of Good Hope, AL and Christopher (Lynda) Hauck of Plymouth; nieces, Michelle and Heidi and nephew, Aaron. He was preceded in death by his father. A visitation will be held Tuesday, February 12, 2019 from 4:00 – 7:00 PM at Uecker-Witt Funeral Home. Cremation has taken place. In lieu of flowers, memorials can be directed to Wisconsin Motorcycle Memorial www.wimotorcyclememorial.org. To send flowers or a remembrance gift to the family of Michael "Hawk" G. Hauck, please visit our Tribute Store. "Email Address" would like to share the life celebration of Michael "Hawk" G. Hauck. Click on the "link" to go to share a favorite memory or leave a condolence message for the family.